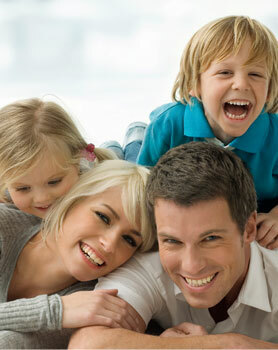 At Broadway Dental Centre, we believe that dentistry should be as pleasant as possible. We aim to provide the best possible dental care to patients utilising the most pain-free and comfortable methods of treatment. Within our modern, purpose-built surgery our priority is to make our patients feel at ease and relaxed. We strive to achieve the highest standard of customer service and to take the very best care of you using the latest techniques and cutting edge technology at our practice. Dr Allan Young graduated in 1981 from Otago. In 1985, he founded Broadway Dental Centre/Allan Young & Associates in Palmerston North. Dr Young places strong emphasis on quality customer service, the continuous education of staff and the utilisation of state-of-the-art technology and equipment to ensure Broadway Dental Centre is at the forefront of the dental arena. He is particularly interested in Cosmetic Dentistry, General Dentistry and Implant Dentistry. Dr Young is a member of NZ Dental Association; NZ Academy of Cosmetic Dentistry; and NZ Cerec Users Group. Dr Young is married with 3 beautiful children and has interests in golf, cycling and skiing. After graduating with a Bachelor of Dental Surgery from the University of Otago, Dr Grace Lee moved up North to join the team at Broadway Dental Centre. Dr Lee is passionate about all areas of General Dentistry. During her undergraduate years, Dr Lee had the opportunity to undertake research projects and present her research nationally and internationally. As a result, Dr Lee has a keen interest in dental research and actively keeps herself up-to-date with the latest clinically relevant research and new developments. Having grown up in Malaysia and the United States prior to moving to New Zealand, Dr Lee had the privilege of being exposed to a variety of unique cultures. This has led to an appreciation and awareness of each of her patient’s individual needs. Dr Lee is a firm believer in preventive and minimally invasive dentistry, and her goal is to broaden her patients’ understanding of their oral health so that each person will be able to take control of his/her own oral health and in so doing, improve it. Dr Lee enjoys meeting and getting to know each of her patients, and will take the time to listen to and address their dental concerns to the best of her ability so that she may provide a comprehensive and high-quality treatment plan tailored to each specific patient. During her leisure, Dr Lee enjoys running, badminton, trying out new recipes (to the dismay of her friends and family!) and a good novel. She also loves travelling; having travelled across most of North America, Western Europe, Southeast Asia and Australasia, she is now setting her sights on South America. Prior to working at Broadway Dental Centre, Dr Crystal Chow played the role of a Dental House Surgeon at MidCentral DHB, whose primary focus is to provide emergency dental treatment and manage dental trauma such as facial fractures, lacerations and dental infections. Her experience at hospital has fueled her interest in Oral Surgery and also gave her an opportunity to provide care for patients of different backgrounds and needs. She continues to incorporate her knowledge while doing general dental practice here at Broadway Dental Centre, with a motto that everyone is equally deserving of good oral health. Crystal believes in having a good work-life balance; aside from her main career as a dentist, she is an avid traveler, volunteer and finds joy in painting and calligraphy on a rainy day. Dr Yang's family immigrated to New Zealand in1990. With the completion of college in Palmerston North, he headed to Otago to gain his dental degree. After graduating, he developed and broadened his oral surgical skills further during two years of hospital postings in Wellington and Southland. Currently, he maintains a private practice in North Shore, Auckland, focusing on cosmetic and restorative dentistry with a strong emphasis on risk management and comprehensive treatment planning. Dr Yang firmly believes that in order to practice modern dentistry and have the ability to offer the best treatment option to patients nowadays, one must have a good comprehension of all aspects of dentistry. He continues to enhance his skill and knowledge by travelling extensively throughout the world to some of the world's well-known private post-graduate training facilities and courses such as the Kois Centre in Seattle, the Fahl Centre for Aesthetic Dentistry in Brazil, Advance Implant Therapy from UCLA, and Mini-residency in Orthodontics by Dr Mahony in Sydney. Barbara Patience graduated with a Diploma of Dental Hygiene in Adelaide in 2001, after working many years as a Dental Therapist. Barbara is very passionate about helping patients improve and maintain their oral health in our caring environment at Broadway Dental Centre. Aaron spent his time growing up between Gisborne, New Zealand and Melbourne, Australia. Initially studying Zoology at Waikato University, Aaron then joined the New Zealand Defence Force in 1994 as a dental assistant. In 1995 he was accepted to train as a dental hygienist with the Defence Force’s 4 year Hygienist Program, spending most of his time divided between Otago University and Burnham Camp. During his training, Aaron travelled to both Malaysia and Australia as a junior hygienist and in 1997 was promoted to Lance Corporal. His advancement through the Defence Force continued after completing the Hygienist Program and having spent 6 months training as an NCO, Aaron was promoted to Corporal in 2000. After leaving the Army in 2005, Aaron spent his time writing undergraduate Psychology papers and even spent a year as a rugby analyst. In 2008 he moved back into private practice as a dental hygienist and has been doing so ever since. The team at Broadway Dental Centre is warm, caring and friendly. We look forward to meeting you here soon! Dr Glenn Kirk completed his MDS in Oral Surgery in 2005, graduating with Distinction. Since graduation Dr Kirk has practiced as a Specialist Oral Surgeon in the Manawatu for the NZDF, Midcentral Health and in Private Practice. He has been the external clinical examiner for the postgraduates in the University of Otago Oral Surgery programme. Dr Kirk is a member of the International College of Implants and maintains an interest in the surgical aspects of Implantology. He has been placing Implants for the past ten years. Dr Kirk is also a credentialed Oral Surgeon at Southern Cross Hospital, Palmerston North. David Ko is a periodontist who specialises in implant dentistry and periodontology. He has completed his undergraduate program at Otago University in 2010 and worked as a general dentist before He returned to Dunedin for postgraduate doctoral training in Periodontology in 2013. After gaining his degree, he started working as a specialist in Auckland gaining extensive experience with complex implant cases and periodontal disease treatment. In mid-2017, he moved down to sunny Hawke’s Bay and now he offers a wide range of gum and soft tissue related treatments including dental implants, gum grafting, sinus lifting, and periodontal disease treatment. David is an active member of several dental associations and continually provides lectures to the local and other regional dental groups. Dr Frances Ruddiman graduated from the University of Otago with a BDS in 2011. She spent two years working as a Dental and Maxillofacial House Surgeon in Christchurch and Hawke’s Bay Hospital, which developed her interest in surgery and the management of medically complex patients. Following a year in private practice in Christchurch, Frances returned to Otago to complete her three years of specialist training in the field of Periodontology and Dental Implants. Her DClinDent research focused on biological complications when using non-original parts on dental implants. Frances is a gentle and caring clinician, who believes that with good teamwork, healthy teeth and gums can be maintained for life. Outside of work, Frances enjoys travelling, improving her terrible golf game, and she has recently taking up running and is aiming to complete her first half marathon.